Canada's national energy-industry regulator will conduct a major audit of TransCanada Corp. following complaints from a former engineer about substandard practices at the giant pipeline company. Canada’s national energy-industry regulator will conduct a major audit of TransCanada Corp. following complaints from a former engineer about substandard practices at the giant pipeline company. The National Energy Board (NEB) published a letter Wednesday to TransCanada chief executive officer Russ Girling in which it said it will review the company’s integrity management program for nearly all the company’s pipelines, including the Canadian portion of the Keystone pipeline. "The board expects TransCanada to demonstrate, and provide adequate supporting documentation of, the adequacy and effectiveness of its integrity management program," the NEB stated. The NEB first learned of quality-control problems within the Calgary-based company from former engineer Evan Vokes. In an exclusive television interview with CBC's chief investigative correspondent Diana Swain earlier this month, Vokes said he met with the company's vice-president of operations, and he also wrote a detailed letter to Girling, about what he considered substandard inspection and welding practices. 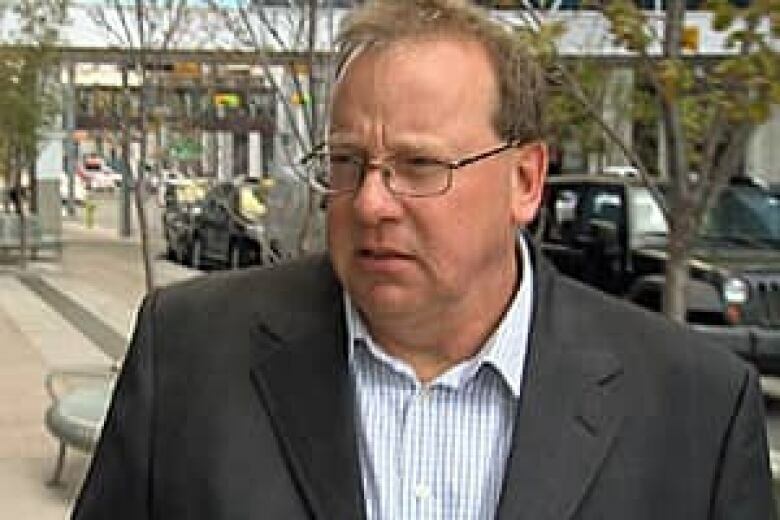 Frustrated, he finally made a formal complaint to the NEB, a version of events confirmed in an interview with the CBC by the board's chief engineer. "We understand he went right through the chain of command to the top in [TransCanada Pipelines Ltd.]," Iain Colquhoun said. National Energy Board spokeswoman Rebecca Taylor told CBC News on Wednesday that the TransCanada audit was scheduled — as were audits for five other companies — but its timetable was advanced by the complaint from Vokes. Vokes told CBC News he is gratified his complaints are being taken seriously. "It is a recognition that there was something really wrong with TransCanada," Vokes said in a phone interview from his Calgary home. "Because in my letter to Russ Girling, I told him that [TransCanada’s] business plan doesn’t match the NEB regulations." Vokes said TransCanada had a reputation for its exceptional pipeline-construction standards, but he said he eventually complained to the NEB because in his opinion he saw the company placing budget and schedule considerations ahead of quality. "When you are building something to code, you have to comply with the code," Vokes said. "You don’t look at the code and say, ‘Well, this is open to interpretation because it may or may not pose a risk to the integrity of the project.’ You’re supposed to follow the code because that is the [NEB] regulation." Vokes is no longer with the company. He went on stress leave in November 2011. In March 2012, he met with top National Energy Board officials and on May 1, he filed a formal written complaint with the NEB. TransCanada fired him on May 8. The regulator subsequently found many of the allegations made by Vokes were valid. In another letter published earlier this month, it warned the company it would not tolerate further infractions of regulations related to welding inspections, the training of pipeline inspectors and internal engineering standards. It also announced a further audit of the company’s inspection and engineering procedures. "Pipeline safety is of paramount importance to the NEB, and it will take all available actions to protect Canadians and the environment," the regulator stated back in mid-October. But it stressed the deficiencies "do not represent immediate threats to the safety of people or the environment." TransCanada has said its internal review concluded the problems raised by Vokes were identified and addressed through routine quality control processes well before any facilities went into service. It also said it was confident the NEB audit would find that "any remaining concerns the regulator has about compliance and pipeline safety will be unwarranted." This audit announcement comes in the waning days of the U.S. presidential election in which the proposed Keystone XL pipeline has emerged as a major issue. The company has promised Keystone XL will be a state-of-the-industry pipeline. But a CBC News investigation found another of TransCanada’s recent American pipelines — also touted as state of the industry — was troubled by quality-assurance problems. The Bison natural-gas pipeline exploded in a remote area near Gillette, Wyo., on July 20, 2011, six months after it went into service. The explosion blew out a 12-metre section of pipeline and shook buildings more than a kilometre away, but caused no injuries or death. Documents obtained by CBC News detailed a pipeline project with problems relating to welding and inspection. The U.S. energy-industry regulator has yet to determine the cause of the rupture, but in a statement to CBC News, TransCanada said "the damage most likely occurred during backfilling at the end of construction." But TransCanada said no damage was noted by its own inspectors, nor did it receive any reports at the time.